Ferrari World Abu Dhabi, a leading theme park in the region, will soon bring Venetian flair through its doors as the theme park hosts its first Italian Carnevale. 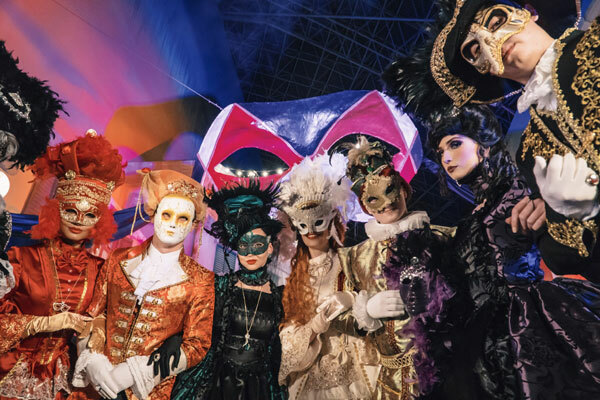 Created to be an authentic celebration of the annual Carnival of Venice, the event will combine the best of Venetian-inspired live performances, family-friendly entertainment, and sumptuous Italian street food for three days from February 28 to March 2. “We’ll transform Ferrari World Abu Dhabi’s Italian Street into an enchanting fantasy world that brings to life the lavishness and splendor of the Italian Carnevale,” said Bianca Sammut, general manager, Ferrari World Abu Dhabi. “Showcasing distinctive entertainment throughout the three-day celebration, we aim for our guests to leave the park feeling intrigued and inspired, having enjoyed a truly unique experience,” added Sammut. During the celebration, guests will witness enthralling entertainment including a comic jester, ground-ring performers, folk and opera musicians, acrobatic acts and more.